As violence escalates in the conflict with the native Mapuches, Chile's police is adding 100 officers to the troubled region, and is redeploying a surveillance airplane to the area. The Beechcraft King Air B200G is normally used by the Carabineros national police in the north of Chile to battle drug trafficking. But now the plane -- equipped with thermal imaging cameras and other sensors -- is going to La Araucania. That part of Chile's south is where radical Mapuches have burned down homes, vehicles and buildings in their fight to reclaim ancestral lands now held by timber companies, ranchers and other landowners. The area had already been beefed up with police, and the fresh reinforcements arrive after incidents in which Carabineros have seemed overmatched. Three were hurt when they were fired upon as they escorted a family moving out of its property. (Some landowners have chosen to leave rather than endure further threats.) A frustrated government is demanding answers on why the police have not been able to get ahead of the attacks. The conflict dates back to 1861, with the Army's occupation of the tribal region, a recent article in the Miami Herald explains. The Army is seeking to acquire at least four medium-size transport airplanes after retiring its C-212 planes. The requirements include a minimum load of 5 tons and double the range and endurance of the C-212, which would put it at more than 10 hours and 2,000 miles. They would also need to be able to land on unimproved runways. Army commander Gen. Juan Miguel Fuente-Alba told El Mercurio that the Army may request bids or negotiate directly with the manufacturer of a plane that meets requirements. The planes that fit the requirements are the Airbus C-235 and C-295, the Alenia C27J and the Russian made Antonov 32, according to El Mercurio. Chilean President Sebastian Piñera ends his term in March, and he could be dealing with a major crisis in the final days of his administration. The International Court of Justice will rule on a border dispute with Peru on Jan. 27. Tensions are sure to increase in the days leading to the decision, in which sizable fishing areas are at stake. As president, Piñera has been pragmatic, if not ambivalent. So, if Chile loses the verdict, don't expect Piñera to defy the court. If Peru loses and rejects the ruling, however, that would force Piñera to stand up to Peru, in what could be the biggest test of his leadership. Looking back at his four years in power, Piñera hasn't really stood out as a hawk. Military spending has slowed during his term, partly because the president chose to focus spending on earthquake reconstruction and public discontent. But he displayed toughness with Bolivia, drawing plans for higher security along the border. The final weeks of his term could see a flurry of military acquisitions, before Socialist Michelle Bachelet takes power. InfoDefensa reported that the armed forces pleaded with Piñera for funds to acquire new weapons. But Piñera, trying not to antagonize Peru, has refused to authorize any spending. None of the systems would be acquired in time for the court ruling, though. It's possible that Peru and Chile will face a diplomatic standoff that lasts months after the decision -- until June, that is, when the FIFA World Cup will dominate the two countries' attention. Former president Michelle Bachelet is facing a run-off with conservative Evelyn Matthei Dec. 15 to decide Chile's next president. The Socialist Bachelet is expected to cruise to victory. But don't expect a change in leadership to be welcomed by the country's Mapuche activists. At a campaign rally, protesters disrupted Bachelet and made it clear they hold her responsible for the deaths of several Mapuches during her 2006-10 administration. Meanwhile, the native group continues to clash with police, landowners and timber companies. On Nov. 17, election day, a group in the heart of Mapuche territory ambushed several police officers, although no one was hurt. In another part of the region, the trial of a Mapuche man charged in the killings of an elderly couple when their home was set on fire is continuing. A conviction could set off more confrontations. Mapuche activists have been seeking moral and other support from outside Chile, and this month the two brothers of a Mapuche found slain on a field last August sought political asylum in Bolivia. They fled Chile after a group of masked men threatened to kill them. One more killing, and the crisis could worsen. It figures to be one of Bachelet's biggest security challenges. The U.S. has taken advantage of its military cooperation with Chile to help train for the war in Afghanistan. Texas National Guard units have trained in Chile's mountainous desert, which bears a resemblance to the Afghan landscape. "The area (northern Chile) is very cold and mountainous much like Afghanistan," Lt. Col. Ricardo Santander of the Chilean Army, said in a U.S Army website. "It provides excellent training opportunities for Chilean and U.S. forces." Personnel from the Texas Air National Guard and Chile's armed forces have trained together several times. The U.S. also has a joint training facility for peacekeeping forces in Chile. More interesting was Santander's comment on helicopter acquisition plans: "One of my goals is to find the Chilean army some new helicopters," Santander said. "We have many transport helicopters, but are looking to add attack helicopters." That's the first time a high-ranking Chilean military official confirms plans to purchase attack helicopters, an acquisition that has been rumored for a while. The Chilean Army's recent decision to sell its two Super Puma helicopters, three C-212 light transport planes and a Citation III executive jet could be setting the stage for the purchase of aviation assets. Former president Michelle Bachelet, expected to win the Nov. 17 presidential election, has promised to push forward reforms of the military budget that have become stuck in Chile's Congress. Current President Sebastian Piñera won only partial legislative approval for the plan, which eliminates the 10% tax on the state-owned Codelco mining company -- a tax that has financed billion of dollars in weapons purchases -- and replaces it with general funds. Bachelet also wants Congress to be notified of the military's spending and acquisition programs, although her plan doesn't specifically give Congress power to override those. She also is not happy about the surplus accumulated from the mining funds. Her closest rival, conservative Evelyn Mattei, also is urging the end of the "copper law" and supports a new financing mechanism. Both candidates also want to continue peacekeeping operations, and to improve military careers. Both also want to give the chairman of the joint chiefs more power in handling crises. Despite the similarities in platforms, Mattei is viewed as more friendly to the armed forces, while Bachelet has been sounding more liberal than she was during her first presidency. Oddly, both women have known each other since childhood, when their fathers were Air Force officers. But they were on opposite sides of the 1973 military coup. Mattei's father eventually became part of the ruling junta, while Bachelet's opposed the coup and died in captivity. The government of El Salvador has confirmed the purchase of 10 A-37B Dragonfly airplanes that had been retired by the Chilean Air Force. The $8.6 million deal, which includes spare parts, is being done with financing provided by the U.S., according to the October issue of Air Forces Monthly. El Salvador says the acquisition gives its air force a badly needed boost in equipment, although the acquisition means El Salvador will not buy A-29 Super Tucano airplanes from Brazil's Embraer. El Salvador already uses the A-37, which was used extensively during the civil war in that country. Chle had been shopping the A-37B's since they were retired from service in 2009. The Dragonfly was designed for counter-insurgency ground attack and got a lot of work in the Vietnam War. Chile had acquired more than three dozen A-37s over the years. Their last active service was in the base at Punta Arenas, in the far south of Chile. This is not the first aircraft sale to El Salvador. The Central American nation was one of several countries that bought the T-35 Pillan basic trainer from Chile. An F-16 pilot made an emergency landing at the air base in Antofagasta Oct. 8 after the aircraft blew a tire on takeoff. The pilot was not hurt, although the plane sustained significant damage. 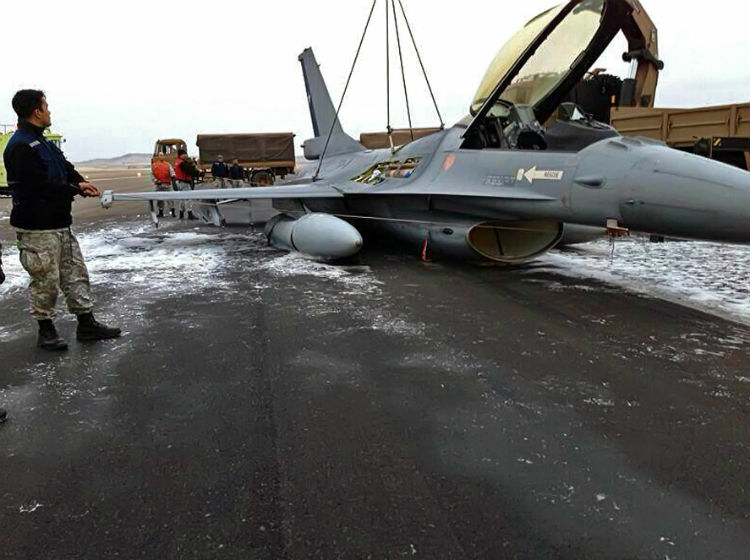 Last year, another F-16 MLU was damaged in a similar crash landing that was caused by a landing-gear failure. But after seven years of service in the Air Force, none of the 44 F-16s has been lost, and they continue to undergo upgrades. In fact, FACh has had a pretty clean safety record with its combat jets. The F-5E/F Tiger squadron, now at the twilight of a service life that began in 1976, remains largely intact. The Mirage 5/50 fleet did suffer some attrition before those fighter-bombers were retired. Seven times pilots ejected from their Mirages in the 1982-2003 period, according to a website that tracks pilot ejections. Three ejections are recorded for the domestically built A-36, including at least one fatal accident. Among non-combat aircraft, a pilot with the Halcones acrobatic aviation team was killed during a training exercise in 2011. Also that year, two pilots were among 21 killed when a CASA 212 light transport plane crashed while attempting to land. As Chile's armed forces have evolved from being the country's rulers to becoming subordinates of elected presidents, the role of Gen. Juan Emilio Cheyre stands as a milestone. While Cheyre was commander of the Army in 2002-2006, he published an essay in which the Army accepted responsibility for human rights abuses during the military's rule. His vow that the Army would "never again" commit such acts effectively distanced the military from former strongman Augusto Pinochet. But today, Gen. Cheyre is fighting accusations that he himself took part in abuses. Earlier this year, he was cleared in the case of an orphaned infant he was ordered to take to a convent in December 1973. The controversy forced him to quit his post as head of the national elections service. Now, investigators are looking into accusations by three sisters who say Cheyre was one of the officers who kidnapped and tortured them as children. It's hard to imagine that a champion of human rights would be a perpetrator himself. Yet, that's the conundrum facing the retired general. Meanwhile, the military officers who led the anti-communist war during Pinochet's rule are becoming more isolated. President Sabastian Piñera shut down an exclusive prison where several officers convicted of human rights abuses were being held. They will serve the rest of their sentences in a regular prison, although one of them committed suicide rather than accept life with common criminals. Many Chileans view these officers as heroes who battled leftist terrorists and whose work was not much different than the CIA's or SOCOM's. Indeed, the government has launched a probe into more than 100 attacks by leftist extremists. The Army has eliminated all cluster munitions from its inventory as part of the its obligations under an international treaty. Chile is one of the 80-plus countries that have signed the Oslo Convention on Cluster Munitions, which seeks to "prohibit the use, production, transfer and stockpiling of cluster munitions." Cluster munitions are particularly effective against "soft" targets such as airfields and infantry, using a shower of bomblets that spray wide areas with lethal firepower. But some bomblets don't explode when intended to, and many civilians have been killed or injured in accidental detonations. This is similar to the landmine problem, which is a larger issue for Chile. Vast minefields near the Peru border and in the far south of Chile are slowly being cleared under the terms of the Ottawa Treaty. Of course, the fact that the Army declares itself free of cluster munitions means its artillery units had them before, even if those were never publicly acknowledged. There has been no similar declaration from the Air Force about its cluster bombs. Among neighboring countries, Peru and Bolivia also have signed the Oslo accord, but not Argentina. Sept. 11 marks the 40th anniversary of the coup that brought the military junta to power in Chile. The military that ousted then-President Salvador Allende has changed dramatically since then, both in terms of its role in society and the way it is structured. The army of the 1973 coup was essentially a World War II force, with Sherman tanks and an infantry mainly equipped with M1 Garand rifles. Throughout the 17 years of military rule, it remained much that way. An arms embargo made it difficult to upgrade weapons, but gave rise to a small domestic arms industry. A modernization finally started taking place when democratic rule returned in the 1990s. The three branches downsized sharply in personnel, but acquired newer tanks, jet fighters and warships. The Army has undergone a major restructuring, organizing itself into self-contained brigades and eliminating a system of stand-alone regiments spread along the country. The Air Force has standardized its front-line squadrons with the F-16. The Navy went with sleek frigates and has been building up its marines. Conscription essentially has ended, and professional soldiers have become part of the military's reforms. Today, Chile's military is part of the social safety net, and is active in peacekeeping missions. More important have been the institutional changes. When Pinochet ceded power, the constitution left the military with substantial power. But civilian administrations have chipped away at it. More and more, the armed forces have acquiesced to civilian rulers, and Chileans now pretty much dismiss the chance of another coup. The military, however, is still trying to put the Pinochet years behind, and the 40th anniversary is fraught with an aura of recrimination over the regime's human rights abuses. A must-read on the military's social changes is the brilliant analysis by strategist Armen Kouyoumdjian in one of the last papers he wrote before his death. Chile and Peru could be days away from a decision over their disputed maritime border. Assuming the losing side accepts the verdict of the International Court of Justice, there would be domestic trouble for the losers, but no war. However, if the losing country defies the ruling, fighting could erupt in the region for the first time since the 1880s. The first hostile act probably would be warships of the losing country sailing into the disputed waters to assert their authority. That would provoke a response by the other country, setting the stage for a naval battle. As far as surface ships go, Peru is at a disadvantage. Its flagship, the cruiser Grau, and Lupo-class frigates are vulnerable to air strikes. Their air defenses don't have the range to defend against Chile's F-16s and their JDAMs, which have a standoff range of more than 40 miles. Chile's L Class air-defense frigates are armed with the Sea Sparrow and SM-1 missile, whose 20-mile range would afford protection against air attack. That doesn't mean Peru would be helpless at sea. Its six German-built Type 209 submarines could be an equalizing force. Indeed, much of the naval battle could consist of Chile hunting Peruvian subs, while using its own Scorpene and Type 209 subs to control the seas. Either country could escalate the conflict by launching air and land attacks. But a land campaign into enemy territory would be costly. Neither army has much to get through the normal attrition of combat. Air strikes on key military targets would be more likely to occur, but this too would have big risks. Chile and Peru have adequate air defenses, and the loss of aircraft would be sure to happen. Chile's land forces and air forces have a technological advantage, but Peru has been upgrading its equipment and should not be viewed as much of an underdog. In the end, the leaders of both countries probably realize that the economic and social cost of waging war would be too high, and a face-saving alternative would be the better option. Update: The International Court has put off a ruling until January. Indications are that Michelle Bachelet will win November's election, making her president of the republic for a second time. Despite her socialist leanings, Chile's armed forces made some major weapons acquisitions during her 2006-2010 term, as the windfall from soaring copper prices allowed Chile to buy used F-16 fighter jets, maritime patrol aircraft and much of the armor that today comprises the army's cavalry units. But a Chilean defense and policy expert doesn't expect Bachelet to do much for defense spending in a second term. Bachelet's administration reinterpreted the military's copper tax (10% of export sales by state-owned mining company Codelco), resulting in a sharp reduction of funds, Daniel Prieto Vial told this blog via e-mail. By doing so, Bachelet deprived the military of its full allowance under the tax and, he says, essentially violated the funding law. Current president Sebastian Piñera has continued the course, Prieto Vial added. "That's why Chile is starting to fall behind, and Peru -- which has much larger armed forces than Chile's, with sizable reserves -- is starting to quickly pass us in terms of modern equipment." Meanwhile, El Periodista gave a chilling outlook for Chile's military spending if the center-left coalition wins power. Leaders of that coalition have been developing a plan that would cap the weapons budget at about $300 million a year. That's a drastic cut from the more than $500 million that would be budgeted under a planned replacement of the copper tax, which itself has provided upwards of $1 billion annually. The center-left leaders argue that Chile's military strength did nothing to dissuade Peru from challenging its maritime border in the International Court. Instead, they would seek a rapprochement with Peru, making Chile less of a military threat by moving some units away from the northern border. They would also keep Chile's military acquisitions more or less in line with its neighbors', effectively forfeiting Chile's military superiority. The generals are said to be worried. It's been a dangerous time in the training fields of Chile's armed forces the past few weeks. On Aug. 14, two airmen somehow fell out of a helicopter, suffering critical injuries after plunging 40 meters to the ground. The Air Force (FACh) says it is investigating the accident, which occurred during a rescue training exercise. News reports say the helicopter touched power lines. Earlier, on July 29, three marines were killed during an underwater exercise. The three were special forces troops training with underwater explosives when the device went off unexpectedly. One of the three was missing for some hours until his body was recovered. Injuries and fatalities are not uncommon in any military organization, although it is a bit unusual for two major accidents to happen so close together. Buy American. The Army and Air Force continue to pattern themselves after U.S. forces, or as NATO members. The backbone of the Air Force (FACh) is the F-16 squadrons, which are well equipped with U.S.-made mission software, Sidewinder and AMRAAM missiles, and they regularly train with USAF. In the Army, there's more of NATO flavor, with German Leopard 2 and Marder AFVs as front-line armor. This pro-Western stance also means Russia has not been able to penetrate the Chilean market, despite that Chile kicked the tires on Ural trucks, BTR APCs and came close to buying Mi-17 helicopters. Peacetime use is a plus. No stranger to major disasters, Chile has acquired field hospitals, a major multi-role ship, transport planes and other logistical equipment that can serve in war and peacetime. In a related trend, some recent procurement has gone to its peacekeeping forces. EADS and Eurocopter prevail. While FACh prefers U.S. weaponry, the Army and Navy more often go with Airbus Military. The Army uses Cougar helicopters, and the Navy its naval variant. The C-295 Persuader is the new maritime patrol aircraft. But Boeing's MD 530 light helicopters are said to be well regarded in the Army as scout helicopters. With its P-3 Orions showing considerable wear, the Navy about two years ago started thinking about replacing the maritime patrol aircraft. That seemed even more plausible when Chile started accepting deliveries of the new C-295 Persuaders. But InfoDefensa.com says the Orions will undergo a major upgrade that includes engine overhauls, new wings and the capability to launch Harpoon anti-ship missiles. The program will keep the P3 fleet flying through 2030. The planes, which were acquired in the early 1990s from U.S. stockpiles, have been periodically updated. Three remain in active patrol service. The article did not mention which company will handle the latest update, but Safe Air of New Zealand has been a primary contractor for Chile's P3 upgrades in the past. Meanwhile, the Navy has selected a different assault rifle for the marines than originally reported. InfoDefensa.com said Chile agreed to go with the SCAR family of infantry weapons, namely the SCAR-L 5.56mm assault rifle, SCAR-H 7.62mm scout rifle and MINIMI machine gun in the 7.62mm version. The initial purchase covers 1,800 rifles and eventually could total 3,500. An earlier deal for the Colt M4 carbine ultimately proved to be not viable, InfoDefensa reported. The SCAR and MINIMI weapons are made by Belgium's FN Herstal. They will replace the marines' current inventory of Heckler & Koch HK33 rifles and Ultimax 100 light machine guns. As Chile and Peru await a court ruling on their disputed Pacific Ocean border, officials in both countries are downplaying the possibility of heightened tensions or even armed conflict. The presidents of both nations have pledged to abide by the ruling of the International Court of Justice, and indications are that the two neighbors will keep their cool. Yet, rumors are swirling that Peru and Chile have already mobilized troops around the border, and that their armed forces are rushing purchases of military equipment ahead of the court decision. El Mostrador reported that Chilean Army and Air Force commanders are not convinced the reaction to the ruling will go as calmly as the diplomats characterize, and have been reinforcing their northern bases. The Chilean Navy, though, has been trying to strike a friendly tone with its Peruvian counterparts. El Mostrador cited a weapons buildup occurring in Peru that includes upgrades to its MIG 29 fighters, its helicopters and submarines, plus acquisitions of anti-tank missiles (the Russian-made Kornet-E) and other weapons apparently aimed at countering Chile's formidable armored brigades. To be sure, some of the Peruvian acquisitions are long-term projects, such as the construction of about a dozen warships and the planned acquisition of tanks. (A deal for Chinese MBT 2000 tanks apparently fell through.) In Peru, there's concern about wargames Chile has conducted near the border. Chile calls these routine exercises. The International Court of Justice is not expected to rule until at least September. When it happens, the two countries will face a test like they haven't seen since the mid-1970s, when a political flare-up threatened to unleash a war. Some of the six Sentinel air-defense radars Chile has purchased are being delivered. 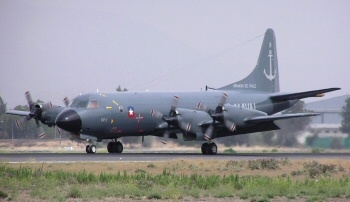 Two of the radars were picked up in the U.S. by a Chilean C-130 plane on July 1. The delivery was crucial for the radars to be part of upcoming training exercises, according to Edwards Air Force Base. The purchase was announced in 2009, and it includes SINCGARS radio systems, parts and logistical support in a $65 million package. Sentinel is a three-dimensional radar that can detect threats at low altitudes, at more than 40 km and as small as UAVs. ThalesRaytheon developed it. The radars will be integrated with the three dozen Avenger air defense units Chile is acquiring, and the three Forward Area Air Defense Command and Control Intelligence Systems it's also buying. The entire air defense suite is used by U.S. forces and can be integrated with allied forces. In fact, Chilean armed forces have been purchasing weapon systems that are in use in the U.S. or NATO. That's no coincidence: Chile's military has made a strategic decision to align itself with U.S. forces and its allies, and it continues that integration through regular joint exercises and through the modernization of its weaponry. Nearly 130 Years Without War, Can Chile Fight Well? So, it turns out Chile is the second most-peaceful Latin American country after Uruguay. That's according to a study by the Institute for Economics & Peace. Of 158 countries, Chile ranked 31st. But the country hasn't been at peace with itself, which could explain why it didn't rank any higher. Violent protests, occasional bombings and attacks by Mapuche radicals show that internal security remains a challenge. Still, these problems are on relatively low scale, and Chile has been able to get on with its peace. Chile has not fought a war in nearly 130 years (if you leave out its 1891 civil war and the 1973 military coup). That's an enviably long period of peace that figures to continue for the foreseeable future. Despite territorial disputes with Peru and Bolivia, the possibility of a new war is remote. Chile's armed forces may boast that they have never been defeated, but without a true test in 130 years, that claim of invincibility is open to debate. Even in their peacekeeping missions, Chilean troops have hardly come under fire. However, there are indications that if Chilean were to fight a war, they would perform well. In multinational wargames, they've often won praise from foreign commanders. When some former Chilean soldiers went to work for private security companies in Iraq, they earned glowing evaluations. Long ago, the armed forces had the good sense to lay solid foundations that are still paying dividends today. In 1886, Prussian tutors started molding the Army into the well-trained, highly disciplined force it remains today. In fact, all three services have patterned themselves after model forces: It's been said that Chile has a Prussian army, a British navy and an American air force. Of course, the military has had its share of major command blunders, such as the Navy's botched tsunami alert in 2010 and the asinine march through a blizzard that killed 44 soldiers in 2005. The Air Force is getting a couple more C-130 Hercules transport planes, adding to its current fleet of two C-130H and one C-130B. FACh Gen. Jorge Rojas revealed the acquisition in an interview with La Tercera that covered a range of topics. However, he did not say the model or origin of the new Hercules. Gen. Rojas also said there are no immediate plans to acquire additional weapons systems. He also complained that in the past five or six years, many specialists such as hydraulics mechanics have left for jobs in the mining industry, causing a 27% reduction in specialized workers from 2011 to 2012. (The Army also is losing a lot of specialized personnel to mining companies.) For years, FACh has been losing pilots to high-paying airline jobs. That's a trend that started in the mid-1980s with a boom in aviation in Chile. But Gen. Rojas said the exodus has slowed, and having advanced warplanes has motivated pilots to continue their air force careers. The Navy this month swore in its new leader, Adm. Enrique Larrañaga Martin, whose early achievements could be bringing his force a second amphibious assault ship. Jane's reported that the Navy will move forward with plans to acquire France's Siroco multi-role ship. Her sister ship, the Foudre, was sold to Chile in 2011 (and is now called the Sargento Aldea) and immediately gave the Navy the vessel necessary to form its new Amphibious Expeditionary Brigade. Chile has had its eye on the Siroco since the Foudre was bought. Soon after he began his four-year term as head of the Navy, Adm. Edmundo González laid out a vision for one or two multi-role ships. He delivered on the first one, and Adm. Larrañaga figures to inherit the Siroco during his new term. The 12,000-ton Foudre-class ships can carry about 450 troops, up to seven helicopters and as many as 100 vehicles. The Sargento Aldea also has extensive medical facilities, which the Armada has already used on relief missions in outlying areas of the country. Acquiring another amphibious assault ship would also mean further purchases of landing craft, helicopters and armored vehicles. The Sargento Aldea is still not fully equipped; the Navy has only three Cougar transport helicopters and the dozen AAV7 armored vehicles it recently purchased won't be delivered until early next year. Another dozen AAV7 or similar amphibious vehicles could be needed if Chile completes the purchase of the Siroco.With both ships, Chile would be able to move its Amphibious Expeditionary Brigade many thousand miles, and be able to support it with armor and logistical units. But the brigade still would lack one of the key elements of a true blue water navy: warplanes. Chile has no plans to acquire vertical-takeoff planes such as Harriers to give its marines an air-attack or air-superiority arm. Instead, the brigade is being built to serve as a peacekeeping force, though it certainly could be used in case of armed conflict. The past couple of years have been lean in terms of weapons purchases for Chile (see table below) compared with earlier years. Part of the reason is the government's sensitivity to political pressures. But all that could change in the next 12 years, when $7 billion to $11 billion could be spent. The low of that range fits with the spending floor set out by a proposed reform in the defense budget that would end a tax on sales from the national copper company. That law would set a minimum of more than $600 million a year to be shared by the three armed services. Multiply that by 12 years, and you get to $7 billion. Even with the minimum allocations, the sums budgeted for weapons would be larger than in any other 12-year period, at least in relative terms. Push the spending to $11 billion, and the increase is even more dramatic. To be sure, the spending targets are no guarantee that such large amounts will actually be spent, and they have not been confirmed. The actual totals may be much more modest, just like billions in funds already have been left unspent. But by 2025, a lot of major systems will need to be replaced. The two Type 209 submarines will be obsolete, and two new subs would easily top $1 billion. The L-Class and M-Class frigates will have been in service 32 to 39 years. The venerable F-5 fleet will probably be retired well before 2025; even a used squadron of fighter planes could run $500 million. Other big-ticket potential purchases include airborne early warning aircraft, helicopters and related equipment for the new air cavalry brigade, a second multi-role ship, missile boats, infantry equipment, trainer airplanes, air-defense systems and the build-up of the ever-important command and communications network. Chile was able to snap up bargains in the 2000s buying surplus weapons from Western nations. But it may not be so lucky in the future, as less of that post-Cold War surplus gets left in the world arms market. The armed forces had enough volunteers to fill this year's conscription rolls without resorting to a compulsory draft, just like they have every year since the volunteer system started. But fewer men and women signed up than last year. With Chile's economy humming along and offering plenty of job opportunities for young people, the Army, Navy and Air Force are having to compete more for workers than in the past, according to The Santiago Times. This year, the military is offering more housing, education, pay and job-training incentives. After the admissions process was done, the Army had added 10,000 volunteer soldiers this year. That included the first group of volunteers from Easter Island. The Army's new professional soldier program has meant a reduction in the number of volunteer positions available. The Navy took in 360 men and women conscripts. Last year, student protests slowed the armed services' recruitment drive. But the movement has quieted down some, and it was not cited as a factor in this year's smaller volunteer class. Chile has agreed to purchase a dozen AAV7 armored amphibious vehicles for its new Amphibious Expeditionary Brigade. The vehicles are being acquired from surplus U.S. stockpiles and will be upgraded by BAE Systems' Global Combat Systems unit, according to reports. The AAV7s, being delivered next year, will be upgraded to the RAM/RS standard, which includes a more powerful engine. The batch is comprised of 10 AAVP7 A1 troop transports, one AAVC7 command vehicle and one AAVR7 recovery vehicle. The vehicles will be part of the 1,400-strong brigade embarked on the Sargento Aldea multirole ship and other vessels. The AAV7 is quite capable as an amphibious assault vehicle. But for peacekeeping missions, the large, tracked AAV7 is not as well suited as wheeled AFVs, which travel better in urban areas. The AAV7's armament is a .50-caliber machine gun and a 40mm grenade launcher, both mounted on a turret. The Expeditionary Brigade has lacked heavy weapons but is slowly being outfitted with helicopters, landing boats and other equipment. Chile also is buying 2,000 5.56mm Colt M4 carbines for the marines, according to Infodefensa.com. The carbines replace the heavier HK33 assault rifle and also are destined for the Amphibious Expeditionary Brigade, Infodefensa said. Although the reports seem credible, neither acquisition has been confirmed in the U.S. Defense Security Cooperation Agency website. Update: Aviacion Argentina has reported that the purchase of AAV7 armored vehicles has been canceled. A program by several Latin American countries to develop a basic trainer airplane is going slowly and is not likely to meet a 2015 target date for the first flight, UPI reported. Countries in the Unasur bloc hope to forge defense and security links among themselves. But analysts say the trainer project runs counter to programs in Brazil, which has the region's most advanced aerospace industry. The UPI article notes other complications in building the trainer. Meanwhile, some South American countries continue working with Embraer on the KC-390 tactical transport plane, including Chile. Chilean warships conducting naval exercises near Antofagasta detected a submarine from another country May 14 and tracked it until it left their operational area and moved sufficiently away. The Navy says it still doesn't know the origin of the submarine, but it ruled out Peru and Argentina -- the two most likely suspects. A Chilean lawmaker also said the sub did not belong to the U.S. Navy, as was once rumored. The mystery sub made sonar contact with the Armada's warships. Chile took the opportunity to boast of its submarine-detection skills, mentioning that frigates, submarines and aircraft were responsible for the deed. Defense analyst Eduardo Santos told Las Ultimas Noticias he believes the sub was detected by the new Thales 2087 towed array sonar, which was added to Chile's three Type 23 frigates about a year and a half ago. But the incident raises a couple of interesting questions: Was a foreign navy probing Chile's anti-submarine capabilities? Was it mere coincidence that the Navy was conducting full-scale exercises when the foreign sub approached? The mystery sub was found outside Chile's territorial 12-mile ocean limit, but apparently inside the 200-mile exclusive economic zone. It's a historically significant site, where the Peruvian ironclad Huascar was captured during the War of the Pacific. The Pacific Ocean's waters off Chile are particularly tricky for submarine warfare. Currents, varying temperatures and other factors can make for some good hiding places for subs. For a couple of years, Chile's government has been moving to end a copper tax used to finance defense acquisitions. But while the lower house has approved the measure, the Senate still hasn't. So, state-owned mining company Codelco continues to feed the military piggy bank, to the tune of $1.27 billion in 2012 and $1.49 billion in 2011. With few major purchases those years, the money is piling up. A German news report quoted in Infodefensa.com said Chile's defense savings total $4.2 billion. The report added that Chile plans to spend $7 billion to $11 billion in defense projects through 2025. It's not clear if the savings include Chile's defense contingency fund, which is believed to total more than $3 billion. But politics have a way of frustrating defense spending, even when there's plenty to go around. The government faces pressure to spend more on education, and reconstruction from the massive 2010 earthquake remains a big project. That has forced President Sebastian Piñera to rethink some defense acquisitions, according to an analysis by UPI. Public perception of the country's financial management might explain why there's been so few big-ticket weapons purchases since 2011. Chile's military greatly benefited from copper funds over the past decade as the metal's price surged. But there are risks with relying too much on the red metal. The price of copper has slid this year and Codelco's production fell for a second straight year in 2012. Today, copper is much about China's economy, making copper prices vulnerable to slowdowns in the Chinese economy. China accounts for about two-fifths of global demand for copper and Chile supplies about one-third of the world’s copper. There are domestic risks, too, such as mining-labor strikes. Chile's Army has acquired a medium helicopter, is buying three more and is moving forward with plans to purchase attack helicopters and new fixed-wing aircraft. Three AS 532 Cougar helicopters have been budgeted, while another Cougar (with a cost of $25 million) is due for delivery in a matter of weeks, according to reports in Jane's Defence Weekly. The Cougar already is the backbone of the Army's aviation brigade, and plans are to create an air-mobile brigade with as many as 24 transport helicopters. To that end, Jane's reported the Army is considering the Eurocopter Tiger as a fire-support platform. The Netherlands has offered Chile a dozen used AH-64 Apache attack helicopters. 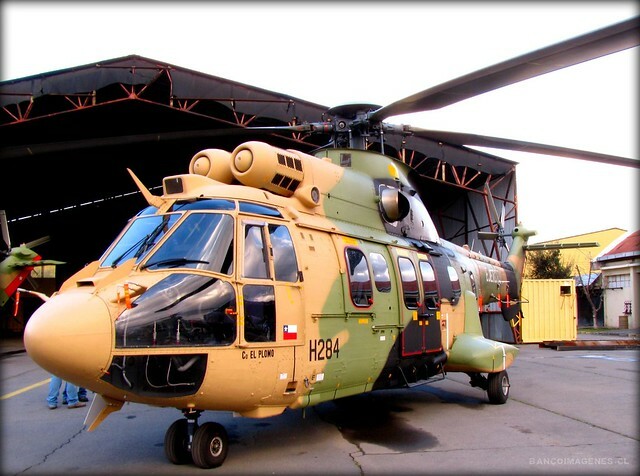 But you can never count out Eurocopter, which has a close relationship with the Chilean military. If Chile opts for attack 'copters, it would probably scuttle a program to acquire light attack helicopters. Plans to replace the CASA-212 and CASA-235 light transport planes have taken on a greater urgency, Jane's said. The magazine reported that the entire transport fleet found itself grounded at a November joint exercise. (Makes you wonder if the lack of parts and maintenance was timed to coincide with the exercise, thus dramatizing the need for new planes.) The Army wants to acquire at least four transport planes. The C27J Spartan and Airbus C-295 are under consideration. Currently, Army aviation operates two C-235s and three C-212s. Could Chile Lose its Edge in Air Superiority? Peru is looking to acquire a fleet of second-hand Eurofighter Typhoon jets from Spain, according to Flight International. Peru's government made a formal request for 16 planes, with a cost of $61 million each and a relatively young service life of 600 flight hours. Peru is also considering other advanced fighters, including the Boeing F/A-18 and Dassault Rafale. Indeed, Peru is getting serious about upgrading its fighter capabilities, which for decades have rested on squadrons of Mirage 2000 and MIG 29. The Typhoon, Rafale and other jets Peru is considering were developed about 20 years after the F-16, and at least on paper they would leapfrog Chile's F-16 C/D and MLU planes. But in air combat, it's not necessarily the year of the plane's design that matters most. More relevant are the avionics, maintenance and training of the pilots, and in those areas Chile's air force can measure up. Its F-16 Block C/D jets have up-to-date navigation, targeting and mission software. Helmet-mounted aiming systems, beyond-visual-range AMRAAM missiles and other technologies make FACh a match for late-generation fighters. Chilean pilots are believed to spend more time in training flights than Peru's. Still, if Peru goes forward with the fighter acquisition, it would greatly narrow the air-superiority gap with Chile. The three branches of Chile's armed forces find themselves with plans to purchase helicopters. Of several reports surfacing in recent weeks, the most noteworthy is a possible acquisition of AH-64 Apache attack helicopters for the Army. Air Forces Monthly reported Chile has second-hand Apaches on its "wish list." The Netherlands, which has already made major arms deals with Chile, may put on the market a dozen AH-64A copters. The Apaches would represent a big leap in air-attack capabilities for the Army, as well as a change in doctrine. The Army has been looking for a more modest scout-type helicopter. With Apaches, the Army would have enought firepower to provide some its own close-air support -- a role that traditionally has rested with the Air Force. Meanwhile, the Air Force (FACh) is expected to seek bids for six to eight transport helicopters. Plans for a fleet of helicopters for support of natural disasters (and at least partly financed with non-defense funds) have been in the works for years, but have not moved forward. The UH-60 Black Hawk, Eurocopter AS-532 or EC-225, Mil Mi-171 and AgustaWestland AW149 are expected to be in contention, according to Infodefensa.com. But the website said a rumored purchase of surplus Black Hawks from the U.S. is not in the offing. The Navy, for its part, is trying to renovate its fleet of light helicopters. Those aircraft are 1970s-vintage Bell 206 Jet Rangers and 1980s-era MBB Bo-105. The Navy is considering a purchase of eight helicopters, Infodefensa.com said. One of the four missile boats based in Chile's northern naval base has been retired. LM 36 Guardiamarina Riquelme had been in Chile's Navy since 1997, when it was acquired second-hand from Germany. It served a total of 38 years. LM 36 was one of four Tiger Type S-148 boats that were acquired. The other three remain in service. They are armed with four MM-38 Exocet missiles, a pair of 76mm guns and two .50-caliber machine guns. Meanwhile, one of the missile boats in the south of Chile has been sent to refit. The Noticias FFAA Chile blog noted that LM 34 Angamos was spotted headed to repair docks in Talcahuano. LM 34 is an Israeli-built SAAR 4 class vessel. Two others are based in the southern port of Punta Arenas. Although Chile's missile boats have nearly four decades of service, there are no immediate plans to replace them. 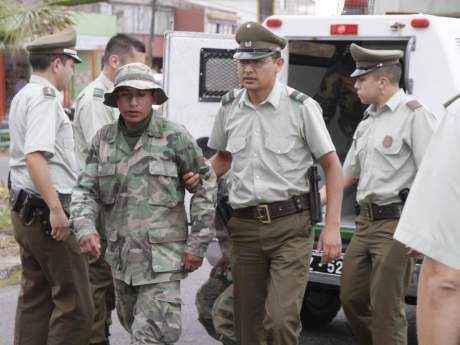 Three Bolivian soldiers who crossed into Chile Jan. 25 have been arrested and remain in a Chilean jail. The three were ordered held for 15 days for entering Chile with an assault rifle. The Bolivians apparently were pursuing car thieves, which are common along the Chile-Bolivia border. The incident seems like a simple mistake by a patrol that could have benefited from a GPS device. But since Bolivia is pressing to regain territory to the Pacific, relations between the two countries have chilled. So, Chile's government is not in a forgiving mood. Bolivia's government protested that the jailing of its soldiers is a disproportionate and "unfriendly" reaction. Military entries by Bolivians into Chile aren't new. In June 2011, Bolivian troops strayed into Chile and were held for several days before being sent back home. Update: The three soldiers rejected a plea bargain and are headed to trial. Two were released but cannot return to Bolivia, while the third was ordered held under house arrest. Chile's Air Force has started work on a base at the Union Glacier, the country's deepest penetration into Antarctica. It is roughly 600 miles from the South Pole and inside the Polar Circle, where temperatures habitually are around -20 Fahrenheit. The base is one of four small Chilean bases used mainly for scientific research, and is one of the few places on the continent with a runway long enough to land Hercules C-130s. But there's a lot more to the project than just penguin watching. President Sebastian Piñera is making Antarctica a territorial priority amid claims by Britain and other countries in the region. He made Chile's stakes clear, visiting the base site himself to make the point and plant the Chilean flag. "The government wants to take another step to reinforce our presence...in Antarctica," the president said. The base "will allow us to project our country into the Antarctic Continent, the continent of the future." Only the U.S. and China have bases as far south as Union Glacier. Update: A story by UPI expands on Chile's ambitions for Antarctica. Extremists belonging to the Mapuche indigenous group are carrying out a wave of arson attacks, including one that killed an elderly couple. Police have arrested a suspect, a man who apparently was shot by the man who died in the blaze. The incident followed an attack Dec. 21 in which a group believed to be Mapuches raided an estate, killing a man watching over the property and wounding his wife. The government responded with special measures, including a special prosecutor, 84 more police in the Araucania region (to 400), a second police helicopter with night-vision equipment in the region and an increase in the number of armored vehicles to ten from six. More importantly, President Sebastian Piñera is putting to use Chile's controversial anti-terrorism law, under which suspects can be held without charge, wiretaps can be set, and other civil liberties can be restricted. Now, Chile's military is involved, if only in a tangential way: The heads of the armed forces have met with police authorities for "technical coordination" and sharing of intelligence resources. The use of troops to fight extremists has not been discussed. So far.